If you are looking for information on the Crystal Rose franchise business opportunity, Crystal Rose franchises or Crystal Rose franchising, then you have come to the right place. 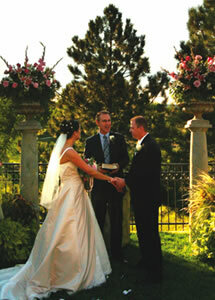 The Crystal Rose is a wedding and special event center that offers exciting celebrations at a great value. We are seeking organized, customer service oriented individuals to join our franchise family. Our primary goal at the Crystal Rose is to change the way people celebrate. Our all-inclusive program is poised to revolutionize the industry. It is typical for individuals planning weddings or parties to experience scores of hidden charges that can add up to thousands of dollars. Cake cutting fees, pouring charges, entertainment, overtime and many other unexpected costs can lead to an unpleasant surprise. Our valuable customers realize a true value with our one-stop-shop packages that include the venue, food, drinks, entertainment and unlimited time. We also offer a vendor referral program for outside event professionals such as photographers. Of course we don't have those surprise fees such as cake cutting or pouring charges. The first Crystal Rose was opened in Golden Colorado in 1983. Over the years we further defined our goals and objectives by listening to our customers. We found that almost everyone wanted the piece of mind of knowing what the bottom line was going to be before the party began. Since 1983 we opened three more centers in the Metropolitan Denver area. 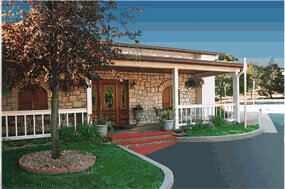 The ideal building for a Crystal Rose Event Center is a vacant restaurant. These buildings are usually equipped and laid out appropriately for our model. This enables our franchise owners to move in and open with minimal upgrades and build out. The location should be away from freeways, train tracks and airports for outside ceremonies. This is a benefit since generally vacant restaurants that are in areas that have less traffic are usually available at a better lease rate. these Landlords are motivated and will negotiate a favorable lease arrangement.